Like magic, they appear. Hocus crocus! One doesn’t need a wand to make crocuses. 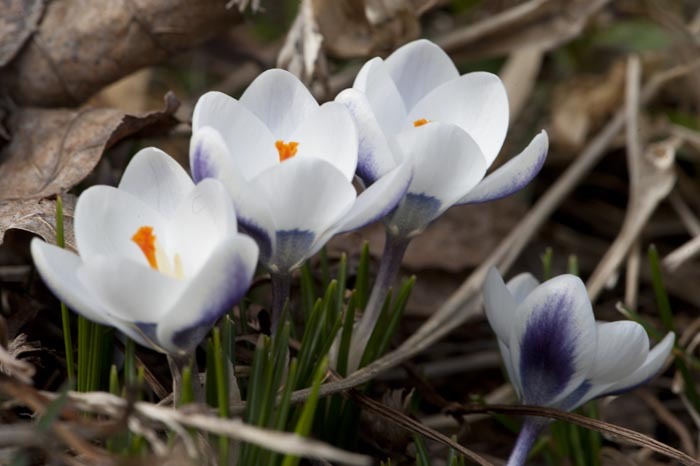 Spring is to thank for the coming of the crocus, though there is also a man who can take some credit for their creation. He couldn’t make longer and warmer days, but he could make those new little cup-shaped flowers. Or perhaps they should be called Bowle-shaped flowers. Edward Augustus Bowles, who died in 1954, had a passion for botany, and even has a society named after him: the E. A. Bowles of Myddelton House Society. Gussie(as Bowles was known to his friends) has more thanone claim to fame resulting from his botanical work. Gussie was quite unusual in life and in his pursuit of plant perfection. Though trained for the priesthood, family tragedy changed the course of his life. After the death of two siblings, Bowles returned home to comfort his parents and neverleft. He devoted himself to a life of service, running a school for boys, being active in the Church and following his passion f orplants. Bowles was a self-taught gardener, botanist, artist and writer who dedicated himself to thesepursuits. Much remains from his botanical endeavors. The gardens of Myddleton House in England are just one of hislegacies. He worked voraciously, writing three books and countless articles and papers on plants, and patiently developing plantcultivars. Though there are at least 40 plant varieties still sold that bear his name, it is his affecti on for crocuses that brought him to my attention. Bowles penned a tome in 1924 titled A Handbook of Crocus and Colchicum and was responsible for raising 14 original cultivars of crocuses. The tragedy of his crocus story is that, of these 14, there are only four varieties that still exist, and only one that is availablecommercially. It is ashame that he is relatively unknown to themasses. His one remaining crocus legacy is the snow bunting variety. The weather may continue to try to trick us with snow, wind and rain, but the real magic trick is the emergence of crocuses with the message that spring will really appear.